Agne has acquired higher professional education in pedagogy and administration. She sings pop music and she organizes different events and shows. She participated in several contests and festivals as Stage of youth `93, Pop Art `96, Wings `89 , The Lithuanians Top 10 in 1992. In 2006 she participated in the TV project Road to stars and she reached the final. Las year Agne produced her first album I haven't say everything , which became golden. Born in Bulgaria in 1989. Since 2004 he starts taking singing lessons in Studio DA but his first steps in the music world are together with the Varna Boys Choir in 1996. 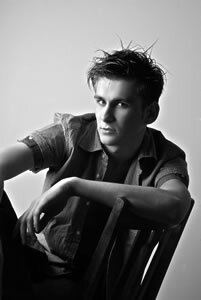 His vocal teachers Dimana Nikolova, Iliana Filatova and Emil Gruev g a ve him a good start in the pop music. As a participant in Eurofest' 06 , he got the Alexander Makedonski special award of the jury. In a duet with Darina Stoyanova, they w on the first prize at the F estival of the Ministry of Defence, the second prize at Eurofest' 07 in Skopje, Macedonia . In the summer of 2007 , the duet participate d in the contest for singers Discovery' 07 in Varna, Bulgaria, where the singers has been awarded by the jury for best artistic performance. Guerino Papa was born in Taranto in 1979. He started singing in some clubs in his city when he was 16 years old. His first singing teacher is the famous soprano Adele Nicoletti. Guerino is singing in various music styles. 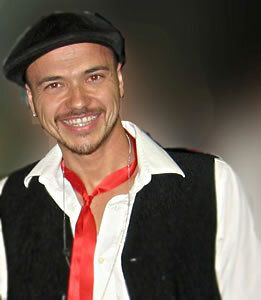 He is also a composer and a performer of pop lirica - a style that stirs pop with the lyric song. He performed on the same stage with Katia Ricciarelli, Eduardo Guarnera, Hong Mei and other performers. Guerino participated in various national and international contests and festivals making a reputation of the new star of the pop lirica . Ionel Istrati was born in 1990 in Chisinau, Moldova. He has studied at the Music School G. Murgu in Dubasari and at the High school s. Tibulauca in Dubasari. He likes to travel, sports and music. Cristina Bondoc was born in 1987. She received her classical music diploma from the George Georgescu Music High School. In 2003 she emerged as a young singer at national and international festivals. At the moment she is acquiring her higher professional education in music pedagogy at the Spitu Haret University in Bucharest. She has plenty of prizes at national and international contests. Awards: Florentin Delmar'03 Festival (Focsani, Romania)- first prize, Dans'06 Festival – second prize, Festival de la Amara'07 – first prize, Ghiocelul de Aur'05 and '08 Festival (Alexandria, Egypt) - first and second prize; prizes from the festivals Laura Stoica'07 (Bucharest) and Blow Music'08. Magda and Paulina were born in 1990, in nearby towns – Wrzesnia and Miloslaw. They met each other when they were about 12 years old. Then they started to sing in Wrzesnia Singing Studio – a group of young people sung together. They had a few singing teachers (Krystyna Piotrowska, Michal Mielczarek), and participated in some workshops (among other things in Speech Level Singing Course). They performed together as well as separately. Now they improve their technique and behavior on the stage. Usually they sing together. They have participated in the TV show Talent za Talent . Magnolia Cruz Melo was born in 1991 . She started singing when she was 4 years old. She has an experience as a model for several commercial spots. In the course of 6 years she is a soloist of the Folk Music School. She has studied guitar playing for 2 years. As a soloist Magnolia has performed in several theatres, festivals and galas. The singer is a member of the Beanky Ballet of latin dances. She has participated in many national TV and music programs and has been a finalist in the TV Song Contest El Expreso of the Canary Islands National TV. She sang together in TV show with her idol, the Grammy awarded artist Luis Fonsi. Awards : Jovenes Promesas '06 Festival - First Prize (with her group); Jovenes Talentos '07 Festival - First Prize (as a soloist). Noorsyarmilla Bt Jirin or better known as Mila was born in 1987 in Pulau Pinang. She has proven her “Girl Power” by being the first ever female winner for Akademi Fantasia. This little singer enjoys reading novels, dancing and singing. Ever since her “graduation” from Akademi Fantasia, she has always been busy doing what she loves - entertaining her fans. Mila participated in many TV shows and programs. Her first solo album Persis Mutiara has just been realized. Denis Zakussilov , famous as Neytan , which means Unique , was born in 1986 г . He has been singing since he was a child and began singing professionally when he was 18 years old. He finished a College of Economics and a College of Theatre Arts. Now he is an actor in the Aladdin Theatre. Awards : Slavonic Star International Contest (Russia) – Second Prize ; Sing with Us National Contest ( Uzbekistan ) – First Prize ; Factory for Stars National Contest ( Uzbekistan ) – First Prize . Petya is 30 years old. She lives in Varna. She has been studying economics. She's keen on learning foreign languages – she speaks Greek very well. Still, her hobby is singing. She began singing professionally one year ago when she became a student in the Music school Studio Yes. Petya have participated in many concerts and radio and TV shows. Last year she took part in the Canzoni dal mondo International Pop Music Festival in Pompei, Italy. Simona Nae was born in 1985. She started her music education in classical music in the George Enescu Music High School and since 2004 she is a student at the Music Academy in Bucharest with major singing but she also studies harp and piano. Since an early age Simona performs in national and international festivals for classical music and as well has numerous appearances on Romanian TV. She realized two albums , in 2006 and in 2007. She represent ed Romania at classical and pop festivals such as the W.A. Mozart International Music Festival (Vienna, Austria ), t he Cerbul de Aur '03 Festival and the Mamaia festival. Apart from being a singer, she is also a composer and a writer. A wards : Herbiger Festival (Vienna, Austria) – special prize of the audience, Paul Constantinescu National Song Contest– first prize, Haricleea Darclee National Song Contest– first prize . Snezhana was born in 1989 in Moscow. H er mother Galina Vladimorovna is a music teacher . Snezhana started singing in 2000. She has a musical education acquired in the Music school № 104 in Moscow. She studied also at a secondary school with a theatre department . At the moment she is a third year student at the Moscow Institute of Contemporary Art where she is studying pop and jazz singing . Her first solo album Слeзы дождя ( Th e Tears of the Rain ) has been realized in 2003. Awards : Seven notes to the пьедесталу `01, `02 Contest (Moscow) – Second Prize ; North Star ` 01 Contest (Moscow) – Third Prize ; Songs about Moscow ` 02 Contest – First Prize ; laureate of the International Contest Sea Smiles `02 – Bulgaria ; Семь нот к пьедесталу `03 Contest (Moscow) – First Prize ; laureate of the Arttransit ‘ 03 Contest , Belarus . Stavros was born in Nicosia, Cyprus in 1983. At a very young age he began receiving piano lessons at the National Music Conservatory of Nicosia. H e received his classical music diploma from the Guildhall School of Music and Drama. This year he completed his university studies in the field of tourist business administration at the Higher Technological Institute of Athens, Greece. In 2004 Stavros was selected among 180000 young men to take part in the spectacular opening ceremony of the Athens Olympic Games as Alexander the Great. Two years later he realized his first musical single, which received gold and platinum circulation awards. One of his songs, Garconiera was included in a special record, released throughout Europe by French Television during the Europa Vox. The same song was also selected by the Russian Public Television for world-wide circulation. Awards: The Kapsalis Music Prize `01 of the Nicosia Pancyprian Gymnasium for piano performance; Lions All `03 Cyprus Composition Contest - Third Prize; Platinum Record Prize for the single Dilonoume Paron ( Present We Pledge ), realized in cooperation with the St Christopher Foundation for persons with mental problems. Fiona Cauchi was born in 1977 in Malta. She learned to play the guitar at the age of 10. 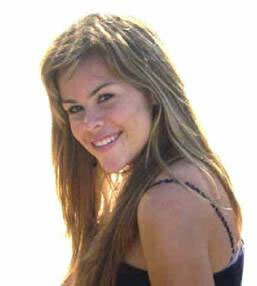 In 1998 Fiona took part for the first time in the Malta Song for Europe Festival. In the following October, Fiona participated in the International Festival of the Maltese Song , forming a duet with late singer Mario Ellul. In September of the following year, she took part in the Festival Indipendenza . During the period October/December 1999, along with three other singers known as True Colours , Fiona was a part of the animation team for the popular Saturday TV program Weekend 2000 . In 2001 in the Malta Song for Europe Festival, Fiona made a hit with the pop song All I need for which she herself penned the lyrics. The 30-years old singer, known also for having taken everyone by surprise when she appeared on stage singing on a motorcycle in the Malta Song for Europe'02 Festival, is generally associated more with country rock music, however, she admits that she is best found in her favourite scenario, that of singing unplugged to her own accompaniment on guitar.